From the menu select Tools ▸ Options. 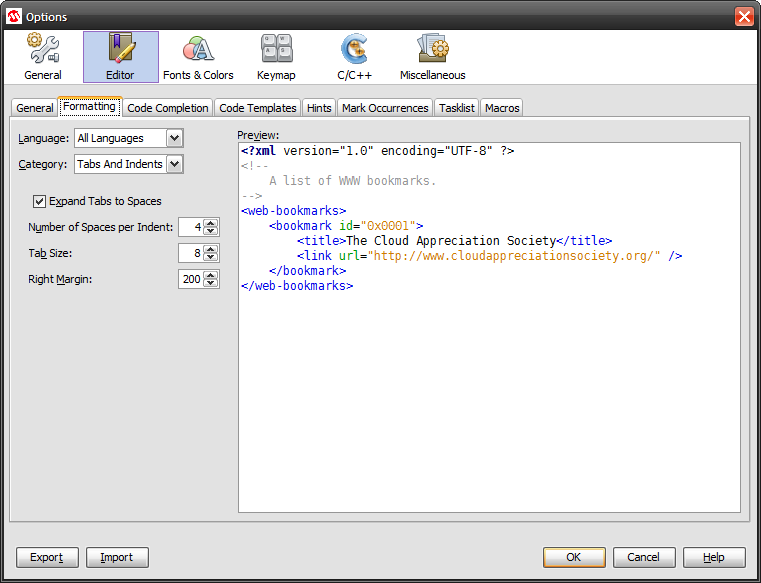 Select the Editor icon at the top and select the Formatting tab. Select "All Languages" from the "Language" drop-down menu, then set the Right Margin parameter to its smallest value of 0 or its largest value of 200. Then click the OK button.